Here's another game that takes you to the wonderful world of Spinning! 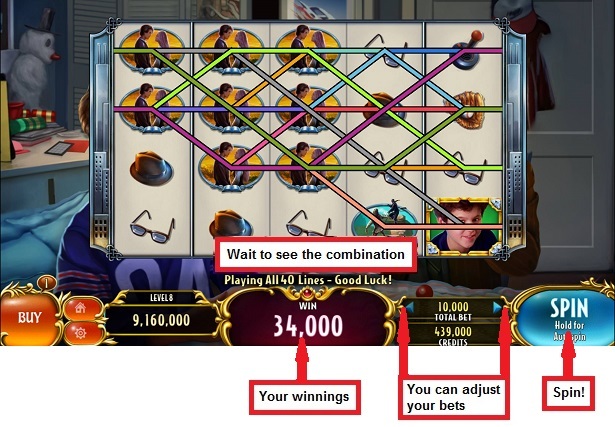 You can check the Pay Table to see how much you can win. 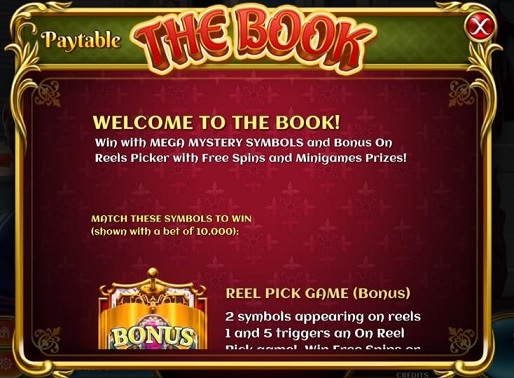 Players can win Free Spins. 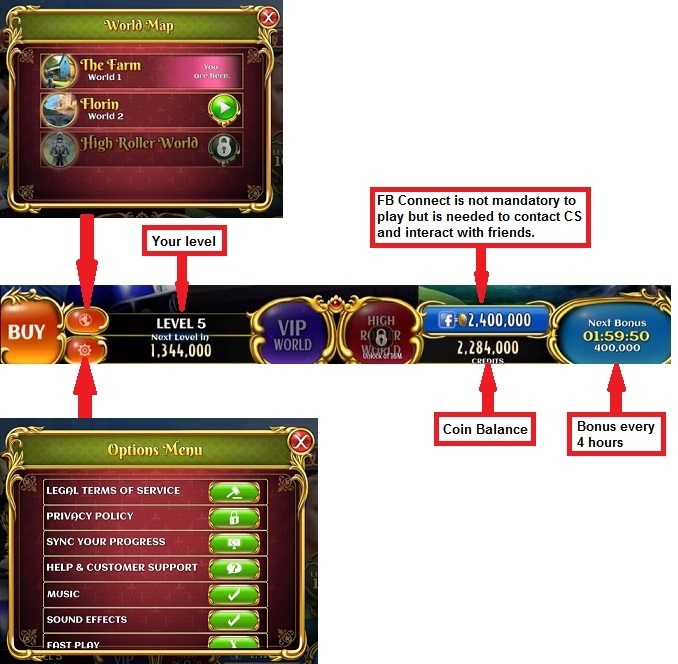 Free Spins behave differently in each room. 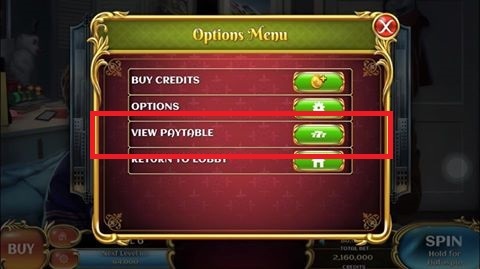 You can find more information about them in the Pay Table of each room. Yes, you do! We'll offer you more free Coins every 4 hours! 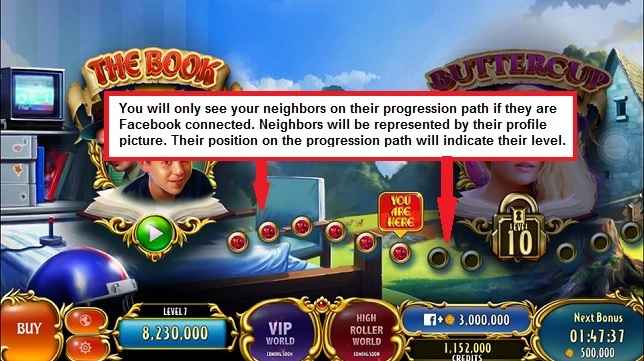 You will start with 500,000 coins which will increase as you level up. At the bottom left of your screen, tap "buy" button to reveal the purchase tab. You will find diverse packages that you can purchase via your Apple Store account and/or Google Play. Our offers can change at any time and may vary depending on the platform (Web/Mobile) you are playing. 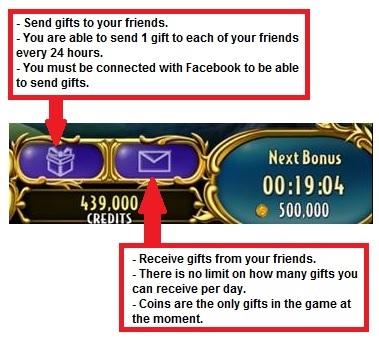 Your friends can send you coins once per day. 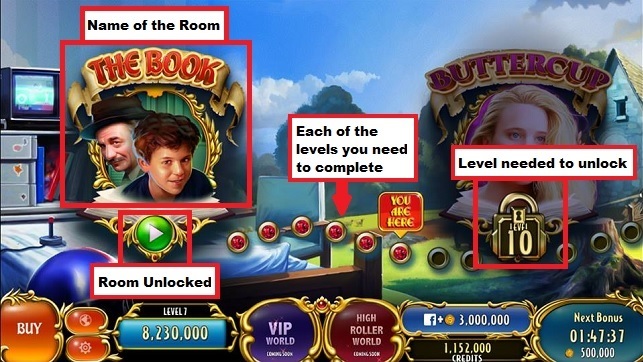 Though receiving gifts has no limit, you can accept/collect depending on your VIP level.